The Non-Aligned Movement (NAM) is the largest and most diverse political grouping of states engaged on issues related to nuclear nonproliferation and disarmament. Drawing on the authors’ first-hand experiences as members of NAM observer-state delegations in NPT and IAEA negotiations, as well as the findings of a larger CNS research project on NAM nuclear politics, the book will provide important new insights about how a small subset of NAM states has tended to dominate NAM politics and have promoted policies that are often at odds with those advanced by Western states on issues such as nuclear terrorism, IAEA safeguards, nuclear export controls, multinational fuel arrangements, proliferation in the Middle East, NPT, and nuclear arms control and disarmament. 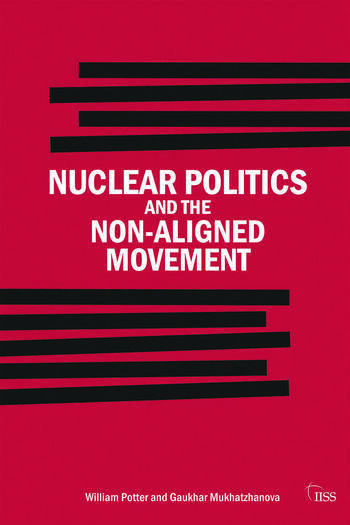 Based on an analysis of NAM perspectives, politics, and priorities, the book will provide practical recommendations for engaging NAM members in a more constructive fashion on issues related to nuclear nonproliferation, disarmament, peaceful use, and counter-nuclear terrorism. Particular attention will be given to problems likely to be encountered when Iran assumes the chairmanship of NAM in 2012 and how these difficulties can best be mitigated in the lead up to the next NPT Review Conference. Dr. William C. Potter is Director of the James Martin Center for Nonproliferation Studies (CNS) and Sam Nunn and Richard Lugar Professor of Nonproliferation Studies, Monterey Institute of International Studies. Gaukhar Mukhatzhanova is a research associate at the CNS.